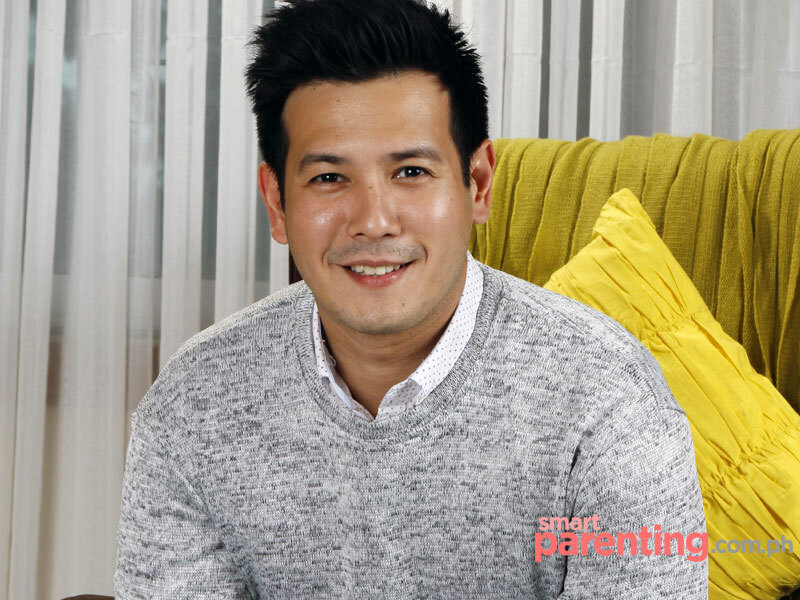 John Prats: "When I Proposed I Already Knew I Wanted to be a Dad"
The first-time dad says he and his wife Isabel Oli want to give Baby Lilly Feather siblings soon. 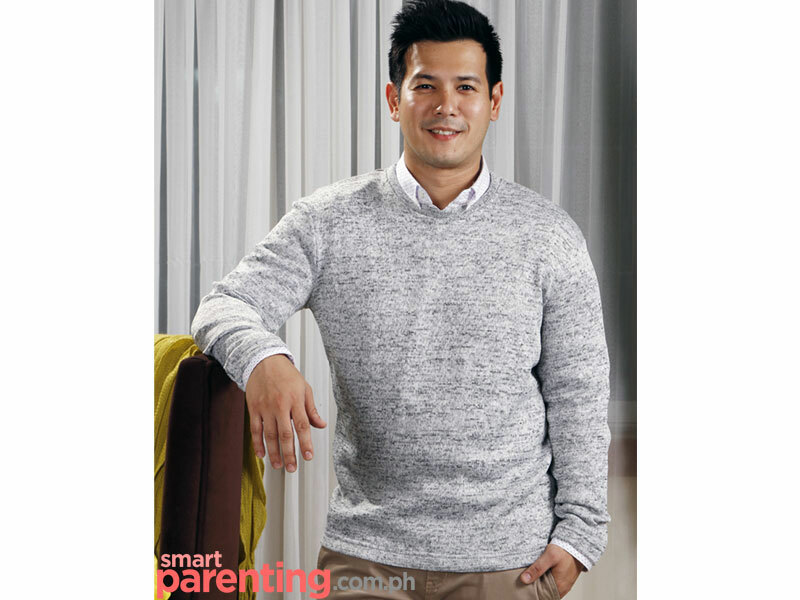 We're glad first-time dad John Prats decided to do this photo shoot and interview at the home he shares with wife, fellow actor Isabel Oli (they actually live in the Prats family compound where John's sister, Camille, is a neighbor), as it gave us an intimate glimpse of his new life as an adoring father to daughter Lilly Feather. 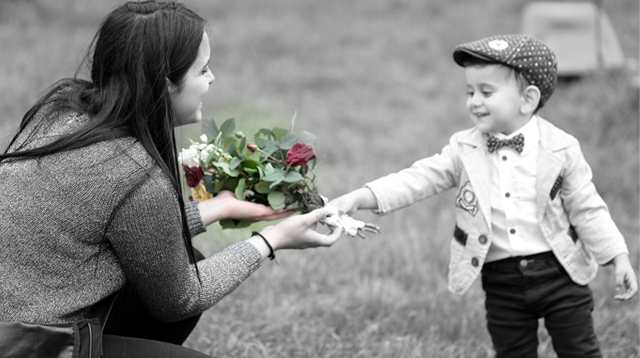 Fatherhood was something John knew he was ready for from the moment he proposed to his wife. He tells us, "When I proposed [to Isabel], alam ko na sunud-sunod na. Alam ko na na after ng proposal, kasal, anak, family, so nung proposal pa lang alam ko na na I wanted to be a dad. I wanted to start a family." John was at work at ABS-CBN noontime show ASAP when learned he might become a dad. "My wife called me at 9 a.m., and said, "Cuff (a term of endearment they use for each other), parang delayed ako." John's initial reaction was chill. "Happy ako but ayoko mag-expect kasi siyempre ang hirap naman na ang saya-saya mo tapos biglang the next day [she gets her period]," he said. They waited three days, then they decided to buy not one but two pregnancy test kits. "The morning after that, Liv (Isabel) woke me up na talagang ung boses niya parang, 'Hub! Hub!' --'yung pagdilat ko pa lang, alam ko na buntis na siya kasi nga sobra siyang happy. From that moment on until nagpa-checkup na kami [and we confirmed it again], our journey to being parents had started." John was in the delivery room when Lilly Feather was born, and he was filled with mixed emotions at the time. He was excited to see his daughter, but it was also very difficult seeing his wife in pain. 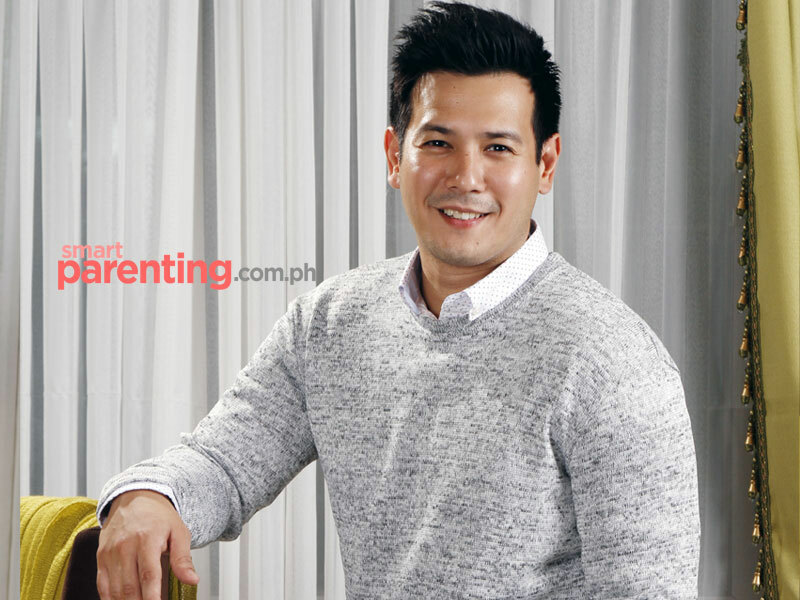 John proudly declares, “I respect and love my wife but 100 times more ngayon," he says. In fact, he suggests that all husbands should be with their wives during childbirth to help them appreciate their partners even more. "Kahit mag-away kayo, balikan mo lang 'yung moment na 'yun, parang 'Aawww.' Lalambot talaga ung puso mo e," he shares. As for seeing and holding his daughter for the first time, he describes the moment with glee. "Sobrang amazing feeling na I cannot describe. Euphoric 'yung feeling na, alam mo yun, grabe, as in parang a different level of being in love sa asawa mo," John said. "Tapos yung paglabas ni Feather, na parang our very own, sobrang miracle, blessing talaga." Scroll down below to see the rest of John and Feather's photos. John reveals that they’re hoping to have a baby every year until they reach Baby Number 3 -- and, yes, he and Isabel are prepared for the challenges to come. The lifestyle changes that happen when you become a parent were not a big deal for John. It probably helps, he says, that he loves what he does for a living. "First, it's fun and I’m just so blessed to have a job that gives happiness and joy to other people. And at the same time, para ito sa pamilya ko. Effortless ko siyang nagagawa and ine-enjoy ko talaga every moment ng pagiging tatay," he shares. He makes it a point to go straight home after work because Feather doesn't have a yaya, so John and Isabel are very hands-on with their little one’s needs. "Blessing din kasi it's our first baby and masaya siya na na-experience namin ung mga small things like changing diapers, sleeping late, magpa-burp--it's teamwork, so para kaming nagbo-bond na tatlo," he says. What has changed is his drive to succeed for his daughter's future. "Ang greatest challenge for me na naiisip ko na ngayon is to give her the best life that I can provide, yung hindi na siya mahirapan, ‘yung comfortable na yung life niya hanggang pagtanda niya. [The businesses we‘ve invested in] is not for me anymore. It's for [Feather] na." Below is a condensed version of our interview with John. Who does baby Lilly Feather take after, you or Isabel? "That's why I married my wife e, siyempre ang ganda niya! Gusto ko may sense of humor din siya. Si Liv din kasi ganun. Basta gusto ko--and Liv and I talked about this already--that whenever we're with Feather, I want positive lang. That’s how we were brought up, ‘yung tingin namin sa buhay kahit may problema, alam naming may solusyon. We don’t dwell on the problem; we focus on the solution." What's the one thing you thought you'd never do as a parent but you realize you're doing now? "Spoiling her. Sometimes I can’t help but buy her cute stuff, but Liv and I are already working on a solution. We want to indulge her when she achieves something because of hard work. Like me, when I finish taping a movie, I'd buy something for myself, for my hard work. So yun lang yung gusto kong matutunan niya, na kahit malaki na sya, bibili lang siya kapag meron siyang ginawang something or na-achieve na maganda." What do you think would be a great invention for dads? "A very healthy organic tranquilizer. Para kapag madaling araw na, antok na kayong mag-asawa, inject mo lang siya or patong mo lang sa forehead niya, tulog na ung baby, so tulog din kami." 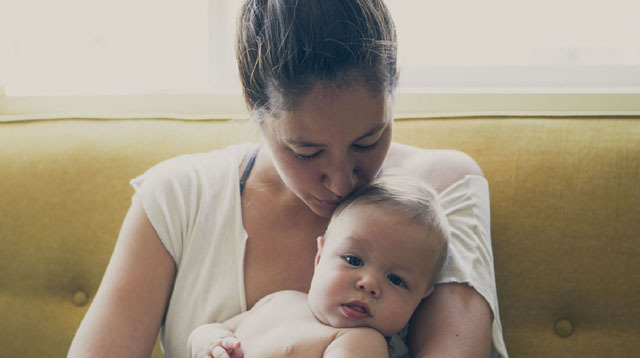 What is your favorite baby item that you feel has been very helpful to you? "Well, perfect talaga lampin for protection niya tapos pag naglungad nandiyan agad sa 'yo. At yung onesie, feeling ko pagsuot niya very comfortable, very safe from mosquitoes, and parang fresh tignan." What would you think is the greatest challenge so far, now that you’re a dad? "'Pag umiyak yung baby, tatlo lang yan e. It's either may wee-wee, gutom or ayaw niya ung position ng pagbuhat mo, so you just have to try all three. ‘Pag hindi pa rin nag-work, there could be something wrong. What we did when we saw that Feather had trouble breathing [because of dried snot], we went to the doctor and she showed us what to do. 'Pag hindi niyo alam, wag kayo magmarunong na sinabi ng nanay ninyo, sinabi ng kapitbahay ninyo or ng friends ninyo na ganito ang gawin. Ask a professional. Call your doctor, kahit anong oras dapat available yung doctor ninyo." What advice would you give new dads or dads-to-be? "Be humble and be a dreamer. 'Pag nangangarap ka kasi minsan natutupad mo talaga e, so be a dreamer but at the same time, you have to do your part. We want her to grow up na mabait at God-fearing. 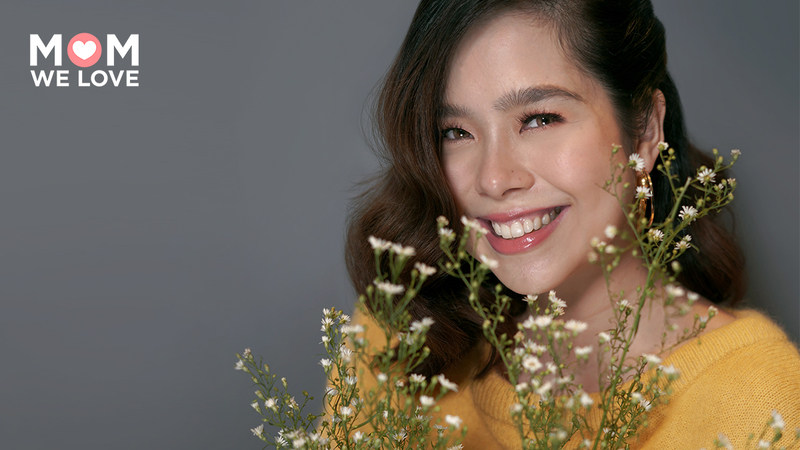 And kami naman ni Liv, kung ano man ‘yung gusto niya, we will support her." See the rest of our photos below! Click "view as list" if you want the photos in one page. When John proposed to Isabel Oli, he was ready for all things to come: married life and babies! He initially didn't want to keep his hopes up when Isabel's period was delayed. They waited three more days before buying two pregnancy test kits. John didn't fuss about preparing for fatherhood. Instead, he devoted his efforts into helping Isabel, supporting her throughout the nine months of pregnancy. Throughout their journey, he declares, I respect and love my wife but 100 times more ngayon." When Feather arrived, "It was a sobrang amazing feeling na I cannot describe. Euphoric ung feeling na, alam mo yun, grabe, as in parang a different level of being in love sa asawa mo." "’Yung motivation ko ngayon lalong nag-iba doon. Kung baga, yung priorites mo iba na talaga. 'Yung mga sa sarili mo, di mo na maiisip yun kasi lahat ng ginagawa mo is for your family." Feather doesn't have a yaya, and John considers it a blessing. "She's our first baby and masaya siya na na-experience namin ung mga small things like changing diapers, sleeping late, magpa-burp--it's a team effort. Does Lily Feather look like mom or dad? John says it doesn’t matter. “That's why I married my wife e, siyempre ang ganda niya!” he quips. John says he sometimes can’t help but buy cute stuff for Feather—but he and Isabel are already working on a solution to prevent themselves from spoiling her. On deciphering Lily Feather's cries, “‘Pag umiyak yung baby, tatlo lang yan e. It's either may wee-wee, gutom or ayaw niya yung position ng pagbuhat mo, so you just have to try all three." John says he hopes Lily Feather would have the sense of humor he and Isabel have. "Gusto ko rin, whenever we're with Feather, I want positive lang. That’s how we were brought up, ‘yung tingin namin sa buhay kahit may problema, alam naming may solusyon," John stresses. On aiming for three more kids: "Hindi na namin kakampi yung time, para mag-intay or mag-travel muna. We really have to make babies, and then kahit mahirap na mahirap, pag okay na lahat that's when we travel as a couple or as a family." Photos by Vincent Coscolluela. Styling by Nasia Cammayo. On John: Marble gray pullover; white long-sleeved polka dot polo shirt; and khaki pants, all from Memo.